It’s 3am in the morning at a packed out Salon des Amateurs, and Vladmir Ivkovic is playing b2b with Toulouse Low Trax. The Belgrade-born DJ has just dropped a section from Steve Reich’s defining generative composition ‘Music For 18 Musicians’ and, for a brief moment, the barman, dancing just to Ivkovic’s right wearing a T-shirt that reads “I hear voices and I don’t like what I hear” has been forced to stop serving drinks, as too many people are currently using his bar as a temporary dancefloor. As they duck to squeeze underneath the Salon’s low ceiling, the club’s usually booming soundsystem emanates the delicate track. 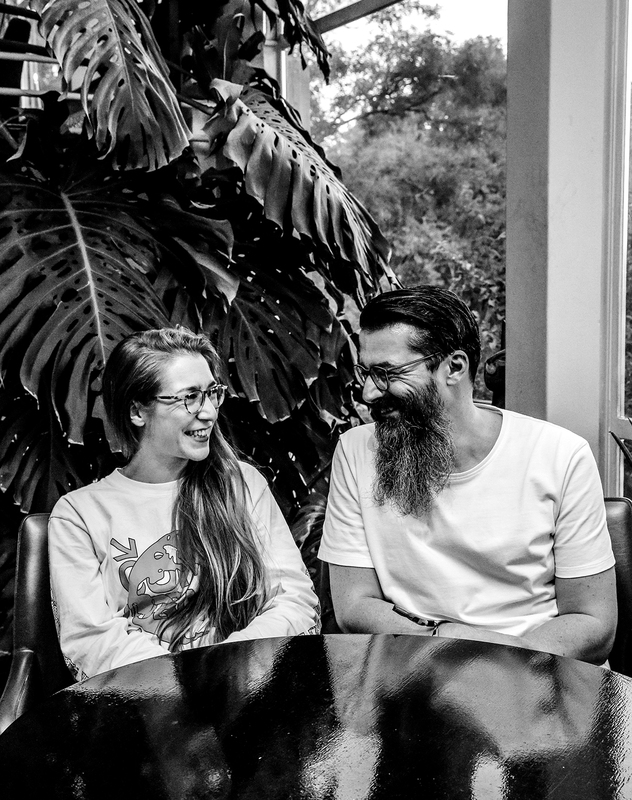 He’s flanked by Lena Willikens, the Düsseldorf club’s longest-running resident alongside Ivkovic and Toulouse Low Trax, at the Art Deco bar in Amsterdam’s Pension Homeland hotel, a haven converted from a former Royal Dutch Navy officers’ quarters just out of the city on its eastern docklands. 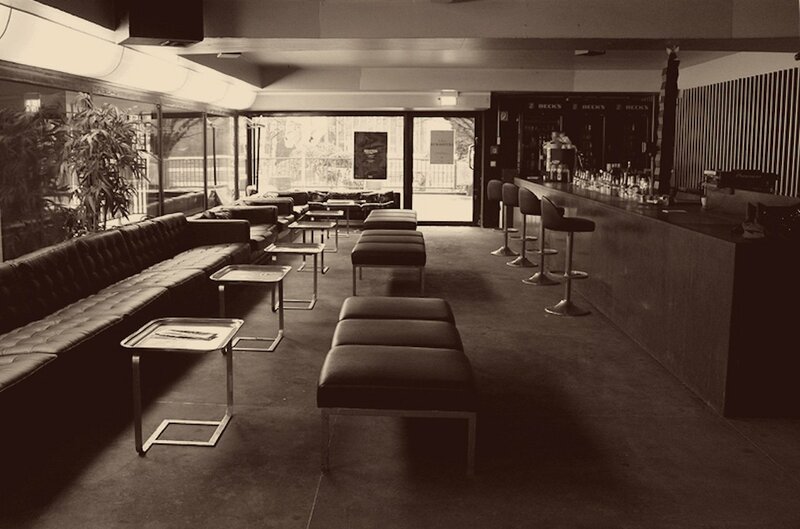 Through its history, Salon, which was forced to shutter its doors for an undisclosed period in November, has nurtured a sound that’s permeated nightlife on a much wider scale than its own dancefloor, much like iconic clubs including CBGB’s in New York and Hamburg’s Front, which was recently honoured by Running Back with a retrospective compilation. Salon’s music, bearing an unconventional aesthetic that refuses to be genre cast, rides an underexplored line between the dancefloor and the avant-garde. Its sound is typified by a sometimes brooding, often urgent but always arresting approach to weaving music together that can incorporate anything from cosmic synth to psychedelia, new wave, no wave, minimal wave, post-punk, hammering techno, minimalism, Krautrock and anything else from its residents’ cavernous and wide-reaching record collections. More about an attitude than a specific genre, the sound of Salon is enveloped in an approach to playing music — an idiosyncratic way of DJing that incorporates left-of-centre electronic, and often not electronic music from the past 40 years. It’s a form of dance music that isn’t what most people think of as being clubcompatible at all. “Theoretically you can dance to anything,” Ivkovic explains as he sips his beer. “We were never a group of people who were house or techno residents. We were never interested in that purpose for music. I’ve experienced people dancing and crying to music like [Furniture’s ‘Why Are We In Love’] rather than listen to generic house and techno. That’s such a precious, wonderful thing. I was also never a person who had to go out for the sake of it. I don’t need to if it isn’t interesting for me. I want to be confronted with something that I don’t know, as that triggers something, and at Salon it was always challenging. But what was there first: the attitude or the name? I really don’t know. I guess the name somehow shaped the attitude but, simply, for me it’s always been a safe space to do things I was interested in. Both artists are now heavily touring DJs in their own right, with busy schedules throughout the year, while Toulouse Low Trax (real name Detlef Weinrich) is a prolific producer who’s released on labels including Antinote and Themes For Great Cities. Willikens first started working on the door at Salon in 2006, before going on to work at the bar and play records — regularly at the same time — and curated the music programme on Fridays up until last year. This year, she’s seen her ‘Selectors 005’ compilation land via Dekmantel, as well as co-write the score for audio-visual drama Phantom Kino Ballett. Outside of the Salon, Ivkovic runs Offen Music, as well as, perhaps surprisingly to some, being label manager for Loco Dice’s Desolat imprint. The pair explain that a number of factors nurtured the sound of Salon, but one of the biggest was the fact that the space, which is in the building of contemporary art gallery Kunsthalle Düsseldorf and started life as its café, was never initially intended to be a club. Earlier in the afternoon, before Willikens and Ivkovic meet DJ Mag, they sit on an ADE workshop titled The Record Bag Of. There they explain that they see DJing more as a form of self-expression than solely as a vessel for entertainment, and express, through Salon — a back-to-basics venue with not much more than its soundsystem and a bar in an intimate space with a low ceiling to hold in the atmosphere — their desire to break the mould of modern-day club culture. “Everything became so clean and predictable in nightlife, and how to compose a club-night,” Ivkovic says. “It’s like painting by numbers. You can see that it’s going to be a duck at the end when you connect dots one to 24, but people still do this. Music is never interesting when its only intention is entertainment. Why would I make someone, who in most cases is working for a system that is hostile to my friends and family, forget his sorrows so he can go back fresh to work on Monday morning and do things that I do not necessarily like? That would also be so cheap and manipulative, and not honest. We’d be feeding the monster that I don’t want to feed. The venue’s name is a play on Société Des Artistes Français, an association of French painters and sculptors established in 1881 that holds an annual exhibition called the “Salon des artistes Français”. And they say the amateur part of the name is something they always wanted to maintain in their ethos. “What was fantastic about Salon was that you never had people who had ‘jobs’ there,” Ivkovic says, noting that the whole team at the venue became more like a family. “Because Salon had the bar, and then an extension to the bar was the turntables,” Willikens cuts in. “It always really felt like we all threw the party together.” They also say the crowd had a huge impact on allowing them to take the sound of Salon in more challenging directions. With Düsseldorf home to the Kunstakadamie, one of Europe’s leading art colleges, the dancefloor was usually made up of a large proportion of art students. “By nature, because of that, you have people who are ready to hear a little more, or willing to be triggered by something else,” Ivkovic says. “The art academy has shaped the entire musical history of Düsseldorf, from the ’60s,” Willikens agrees. A city with a past of producing artists and spaces that exist on the bleeding edge of alternative music, from Kraftwerk, Neu!, DAF and Liaisons Dangereuses to seminal venues including Cheesefactory and Ratinger Hof, Salon des Amateurs has carved itself a vital part of that story over the last 14 years. Its sound has also served to inspire a new generation. Before the club closed its doors for an “undisclosed period” for reparations to its building at the beginning of November, the likes of Lucas Croone, Jan Schulte — under his Wolf Müller/Bufiman guises — and Phillip Jondo all played the weekend-long closing party — musicians that grew up at Salon before becoming successful artists in their own right. The club has also closed at a time that larger dancefloors are becoming much more open to experimentation, with global sounds and nonlinear electronic music permeating Europe’s clubs and festivals. “It was a fortunate constellation at a certain point in time,” Willikens says of the legacy of Salon. “A lot of people got bored of functional DJs, and they stumbled across this weird, in their eyes at least, thing happening, and became curious. What would make me happy is if we managed to encourage young people to open up and young DJs to do their own thing and play music which is seen as risky to some.” “That’s what I hope is the legacy of Salon: to see this curiosity happening everywhere,” Ivkovic adds. “It is the responsibility of all of us to keep these places alive, because nobody else is going to do it for us. We get lots of people asking us to do Salon des Amateurs nights at their club. But it is your own responsibility to create an environment where you can have your own Salon. There are plenty of people in different cities who never get the chance, so give them the freedom to express themselves — then you will have your own Salon, whatever it looks like, and you won’t have to invite us. Photos by Gemma Parker, Andreas Sciko and Chrisa Ralli. Want more? Read DJ Mag UK’s feature on the unstoppable influence of EBM.